A 30-year-old Florida man was charged with DWAI on September 27, 2018 following a routine traffic stop. 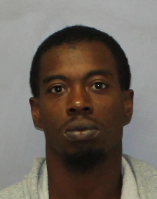 According to New York State Troopers, during the traffic stop on State Route 20A in the town of Warsaw, officers interviewed the operator Calvin L. Porter. Troopers then detected the odor of marijuana coming from his vehicle. They administered Standard Field Sobriety Tests and Porter was taken to SP Warsaw to be evaluated by a Drug Recognition Expert (DRE). Porter was charged with driving while ability impaired and arraigned at the town of Warsaw Court. Porter was remanded to the Wyoming County jail on $5,000.00 cash $10,000 bond.